One of the most iconic scenes of Iceland and with good reason. 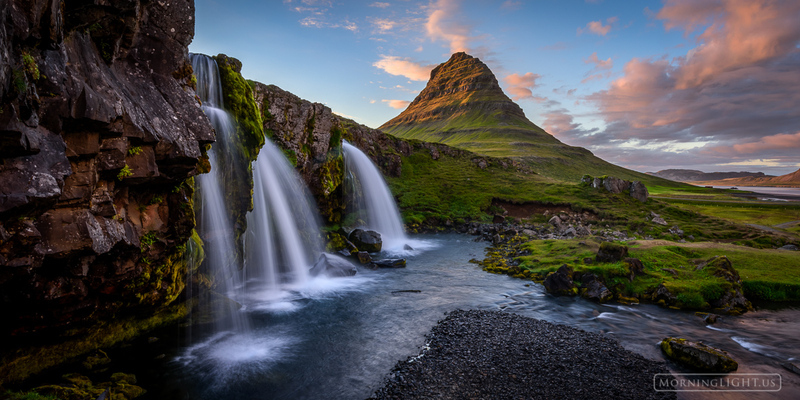 Kirkjufell is a spectacular mountian and one of this planet's most photogenic. Photo © copyright by Erik Stensland.